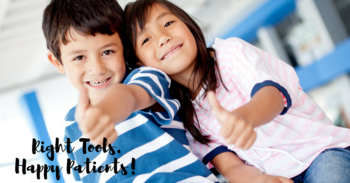 We have the tools & training you need to jumpstart your family practice and get you comfortable treating kids! She'll cover the basics to get you started so you can help kids and grow a thriving family practice you LOVE! Create a totally painless experience for your patients! Check out Robin's guide to acupuncture & non-needle tools. 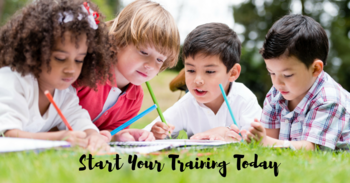 Robin provides essential pediatric training and strategies to get you started working with kids right away! I am offering Pediatric Acupuncture Rounds at my clinic in Morgan Hill on two days this year: Saturday, May 18th and also Saturday, September 28th. The class runs from 9 AM to 5 PM and will be filled with children of all ages. This will be an immersive, practical seminar, perfect for practitioners who are seeking more hands-on experience with pediatrics. This class will help you refine your techniques and build confidence, so you can begin treating patients as soon you get back to your clinic! 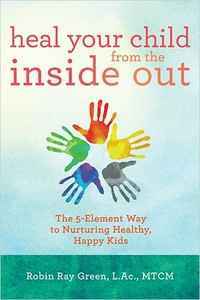 Millions of children fall into the Unwellness Gap™. Get the step-by-step program for healing these kids with Chinese Medicine. Learn the basics of how to set the stage for success, introduce children to acupuncture, pediatric needle technique and how to use non-needle tools like microcurrent and laser. We all know that kids are not little adults. It requires special training, tools, and techniques to successfully treat them. Pediatric Pearls Week is a unique opportunity to train with 10 of the world's leading pediatric acupuncture experts! They'll be sharing practical, concise pearls of wisdom that you'll be able to use in your clinic right away. You'll learn how to treat common pediatric conditions, build your confidence in working with kids, and overcome some of the subtle blocks to successful treatment. Treating the whole family, including kids, is a great way to expand your practice and keep it full. But, many acupuncturists get hardly any pediatric training. If you don't feel confident in your pediatric treatments or are wondering if non-needle treatments are enough, then Pediatric Essentials Online Course is the solution you've been looking for. The course is approved for 14 PDAs/CEUs for NCCAOM, California, Florida and Texas. + 4 Bonus CEUs/PDAs approved for NCCAOM and California. Through clinical case studies and Dr. Song's practical approach, you'll learn to treat difficult pediatric conditions by augmenting TCM treatments with Western functional medicine. The course is approved for 8 PDAs/CEUs for NCCAOM and California. The course for licensed acupuncturists and acupuncture students will introduce the East-West Perspectives for treating autism and ADHD. The course is approved for 7 CEUs for NCCAOM, California, Florida and Texas. In this one-hour audio, you'll learn the steps to diagnosing and treating food sensitivities. Elisa Song, MD and Robin Green, L.Ac. share their insights on how treating food sensitivities can make a big difference in healing chronic pediatric conditions. Learn Robin's simple system for determining a child's Five Element type. This course includes about a 1 hour video, 36 page guidebook. The course is approved for 4 CEUs/PDAs for NCCAOM and California. Learn to build the foundation of your pediatric practice on word-of-mouth referrals. 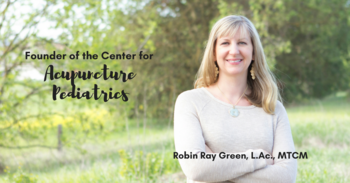 Robin shares how embodying TCM and educating your patients can make attracting the right patients effortless. Walk away with a clear plan for bringing in more patients through word-of-mouth. This course includes a 1 hour video presentation and a 20+ page guidebook with action steps. The course is approved for 4 PDAs/CEUs for NCCAOM and California. For those who are looking for a mentor to level up their skills and grow their practices, I am starting a mentoring circle called the Pediatric Healing Arts Mentorship. This exclusive mentorship program is limited to six acupuncturists and will feature a combination of group coaching and one on one coaching, along with twelve self-guided modules which will cover advanced topics in pediatrics. This mentorship program can take you from seeing a few pediatric patients per year to seeing six to eight pediatric patients per week!